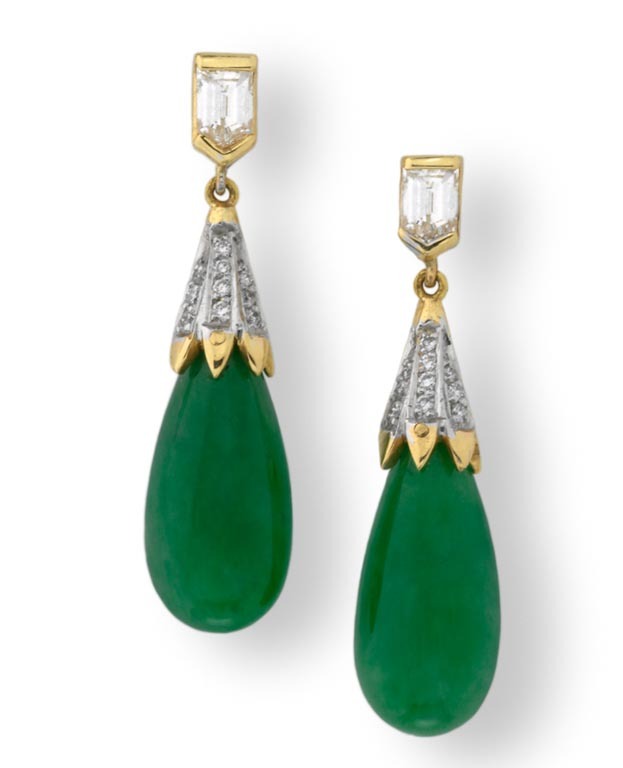 Jade is an umbrella term for two gem materials: jadeite and nephrite. Both can be shaped into exquisite carvings or decorative objects. 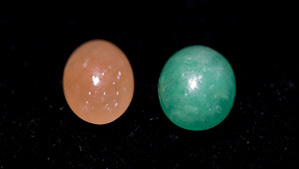 Although jadeite comes in lavender, orange, and other hues, its most desirable color is a very specific shade of green. Jadeite’s texture can be fine, medium, or coarse, depending on variations in crystal size and hardness. 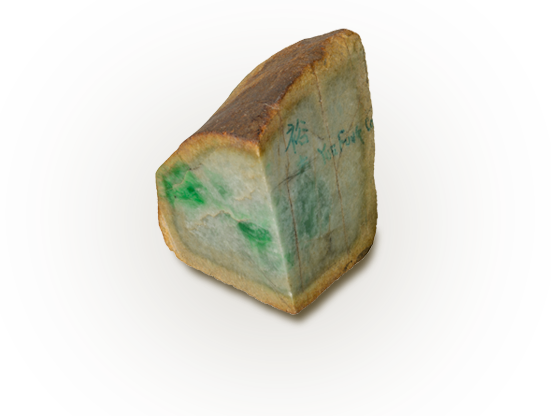 The best jadeite is semitransparent, meaning the text you can read through it would be slightly blurred. The value of jade cabochons, beads, and bangle bracelets rises with an increase in size, all other quality factors being equal. 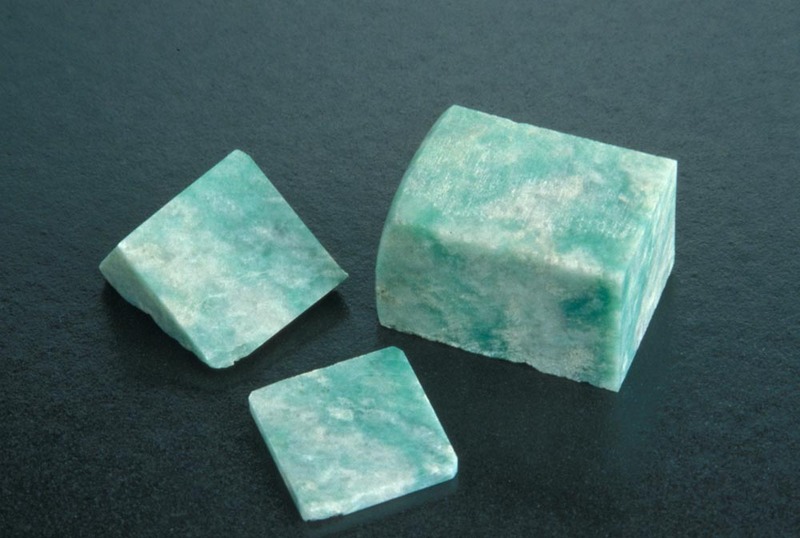 The finest-quality jadeite is usually cut into cabochons for use in rings and other jewelry. Jade can also be carved into incredibly detailed decorative items. Jadeite is available in lavender but not pink. Rare examples of Guatemalan jadeite in a blue color do exist. 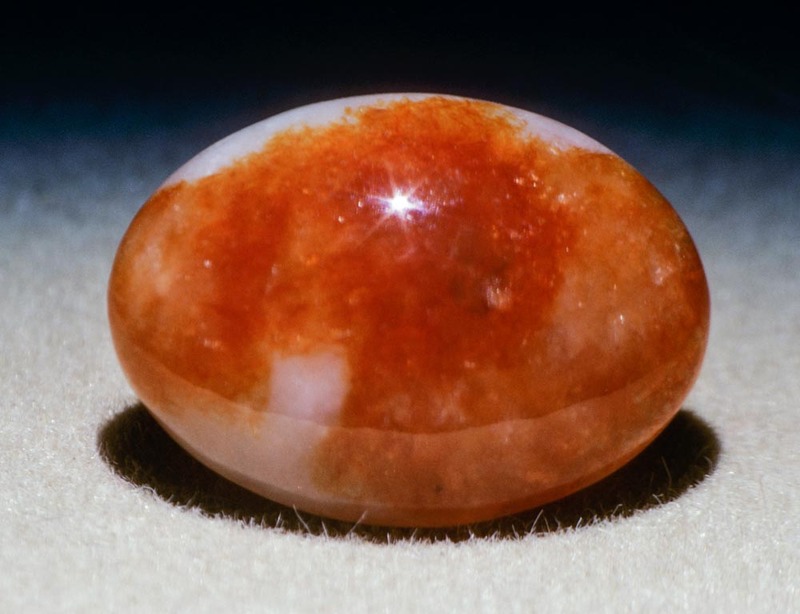 Terms like pink jade or Mexican jade, Alaska jade, Transvaal jade, or Japanese jade generally refer to other minerals, which may be green or other colors. 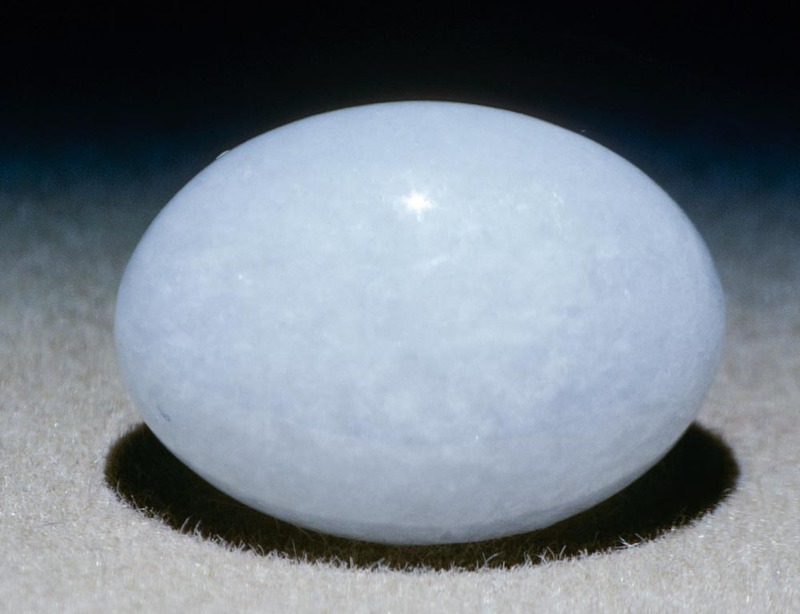 In a classification system that is used in Hong King, “B” jade refers to jadeite that has been bleached with acid and then impregnated with polymer resin. “A” jade refers to jadeite that is natural or treated with wax only and “C” jade refers to dyed material. Keep your jadeite and nephrite beautiful by following simple care and cleaning guidelines. 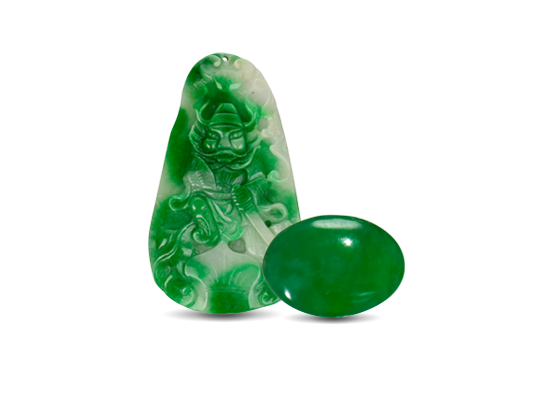 Though they can both be scratched, nephrite and jadeite have exceptional toughness and are very resistant to breaking or chipping. Clean your jade jewelry in warm soapy water or wipe clean with a soft cloth. 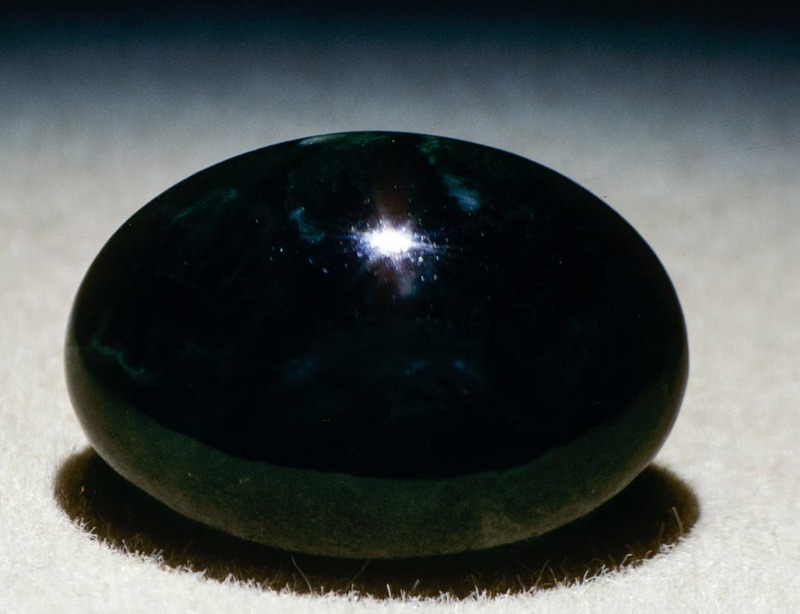 Jade can be dyed, bleached, heated, waxed and impregnated.